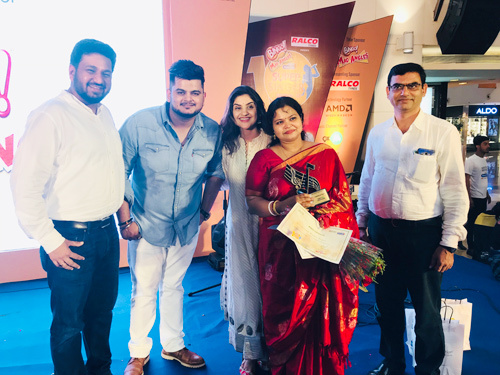 MUMBAI: India’s biggest singing talent hunt ‘Ralco Tyres Presents - Radio City Super Singer Season 10, today achieved a milestone with the 10th edition of the Grand Finale at Infiniti Mall, Malad and crowned super singer, Devarshee Dasgupta as the winner in the city of dreams, Mumbai. The top five contenders- Devarshee Dasgupta, Riyaa Sengupta,Kanaiya Barai, Zameer Darbar and Shruti Sinha battled it out for glory and were judged by acclaimed music director Vishal Mishra, who was present at the venue. The winner of the competition was presented with rupees one lakh after shaking off a tough competition from the contestants in Mumbai. Radio City Super Singer has been a flagship property that has seen its popularity swell since its inception and has now completed a decade to become one of the longest standing properties for Radio City. The talent hunt has given the industry some of India’s top singing sensations such as Harjot Kaur, Manya Narang and Sri Ganesh to name a few. Radio City Super Singer has outgrown to encompass a staggering 39 cities on-air, on-ground and digital platforms, reaching out to an astounding 6.7 crore listeners across the nation. The nominations were invited through walk ins to Radio City studios, at malls across cities, through IVRS, social media platforms and Radio City branded vehicles which were moving across cities. After an intense competition, the top five participants namely Devarshee Dasgupta, Riyaa Sengupta, Kanaiya Barai, Zameer Darbar and Shruti Sinha were shortlisted by an eminent jury and later judged by Vishal Mishra. The top five contenders were given an opportunity to showcase their singing talent at the finale, held at Infiniti Mall, which saw them mesmerize the audience with their mellifluous voices. Radio City Super Singer is a manifestation of Radio City’s philosophy, ‘Rag Rag Mein Daude City’, that enables the network to infuse a local flavor in its content and build stronger emotional connect with the listeners. Through the talent hunt, Radio City aimed to empower aspiring singers and provide a platform for every city to laud their exceptional local talent.